When shopping for engagement rings, you may come across rings labeled “Designer Engagement Rings”, but what does that mean? These ring designs are often branded, making them signature pieces of the company they represent. Buyers often remember designer names and style, as they are typically associated with aristocracy—and, in turn, higher price points. 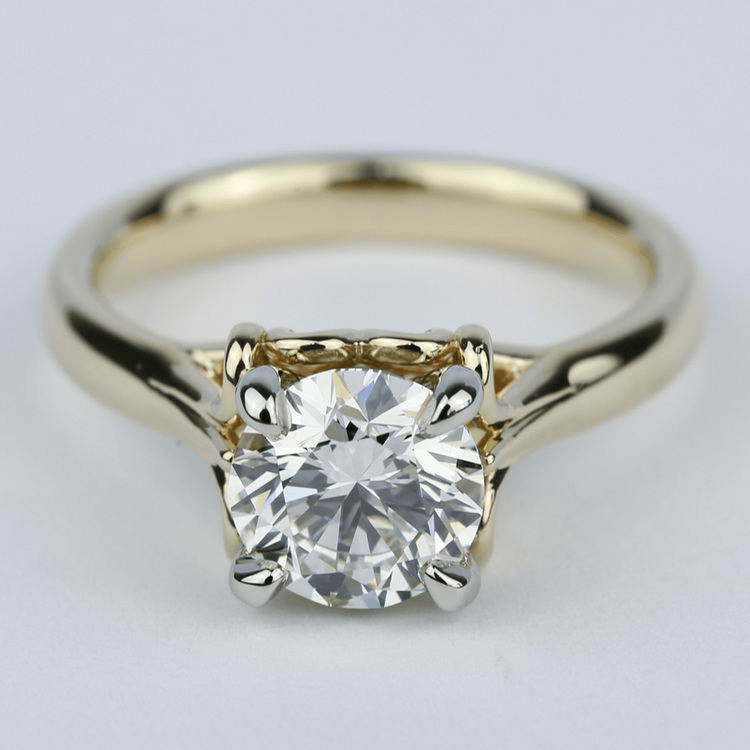 Some of the most well-known engagement ring designers include Tiffany & Co., Cartier, Van Cleef & Arpels, and Neil Lane. These brands are considered luxury lifestyle brands, commonly worn by both celebrities and royalty. Like couture clothing, designer jewelry is of the highest quality and features stunning detail and design work. These rings and jewels come at a higher price, but the work put into each designer piece goes beyond any stock design. Designer engagement rings—like all designer pieces—are set to the highest caliber of perfection. At Brilliance, we offer a line of exceptionally beautiful designer engagement rings by Parade Designs. Brothers Allen and William Pung are the artistic minds behind Parade Designs, an award-winning team whose jewelry has been seen in movies and television, and worn on red carpets around the world. This collection pulls from the beauty of nature, weaving in vines and swirling petals with details of diamond accents that create a dynamic statement. Only the finest metals are used in rings within this collection—Parade’s white gold is infused with durable Palladium to ensure optimum strength and incomparable beauty. Like other designer collections, Parade ensures that each ring features the finest details, down to the last tiny diamond. Metals are polished to reflect the most brilliant shine or buffed for a satin finish. Every stone is lined up meticulously, so that your ring—your investment—is flawless to the eye. 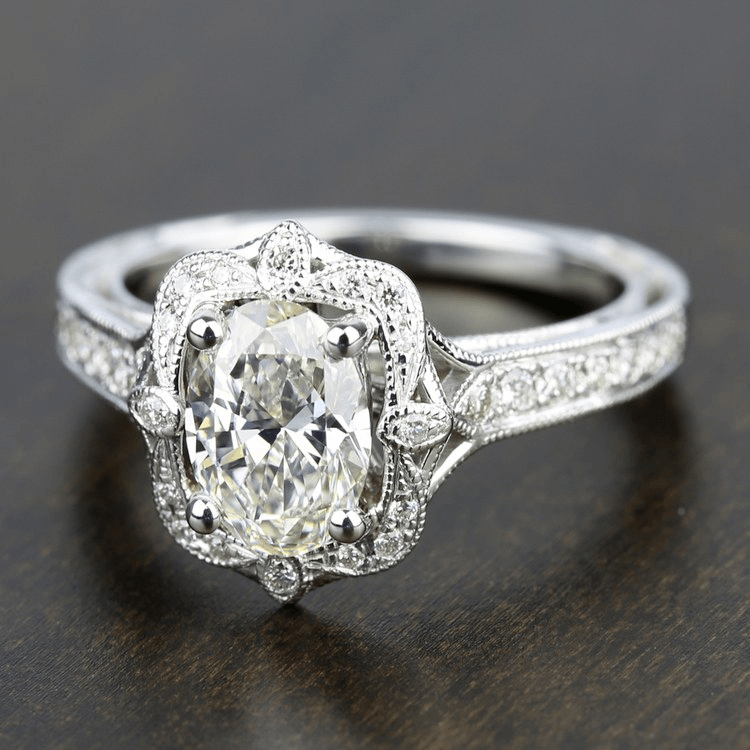 All Parade Design engagement rings may be set with a centerpiece diamond of your choice. 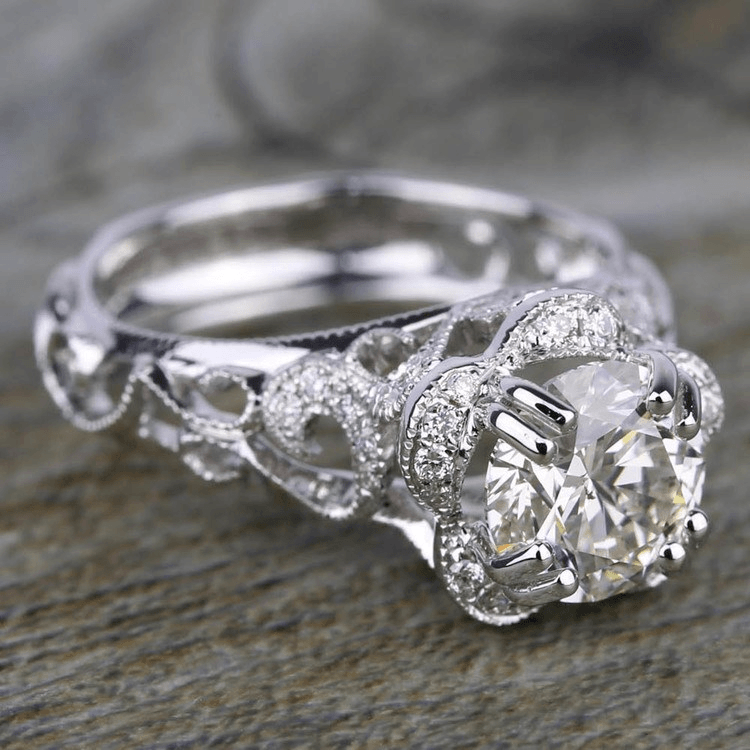 The Parade Design collection also offers ring options for every budget—from simple intricate solitaire settings to ornate vintage-inspired designs. Parade’s Antique Lyria Bloom Halo Diamond Engagement Ring was recognized by The Knot as the Best in Bridal Winner for vintage design! Custom designed engagement rings allow you to be the artist so your beloved’s ring reflects the inspiration of your love. Work with one of the Brilliance jewelry designers to create a one-of-a-kind custom masterpiece. 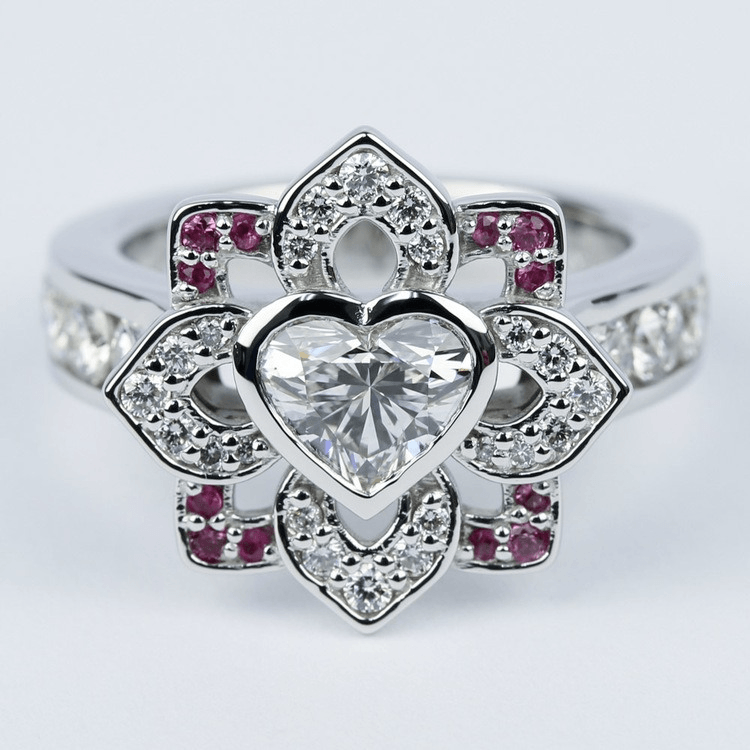 We’ve designed mermaid rings featuring blue topaz, interlocking wedding bands, Art Deco-inspired engagement rings, an intricately detailed one-carat heart diamond and pink sapphire ring (pictured below), and many more amazing designs. If you can imagine the ring, we can make it a reality! 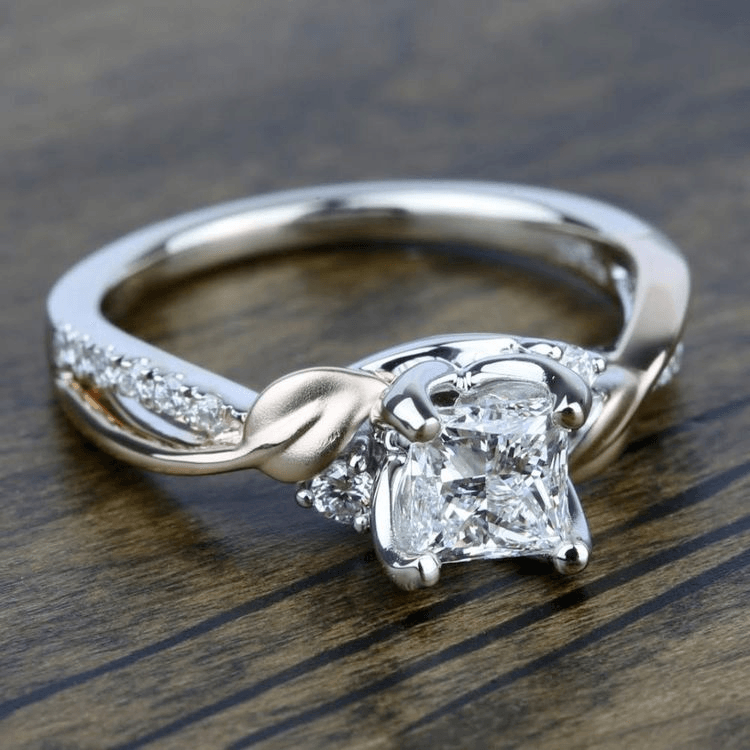 Whether you choose a ring from the Parade collection or a custom designed ring, we can help ensure that the ring you choose fits your budget needs. Brilliance provides buyers with the option to finance engagement rings with Affirm, which allows you to break the large expense of an engagement ring into monthly payments. However, be sure to set your budget before shopping, so you know how much you can afford each month. 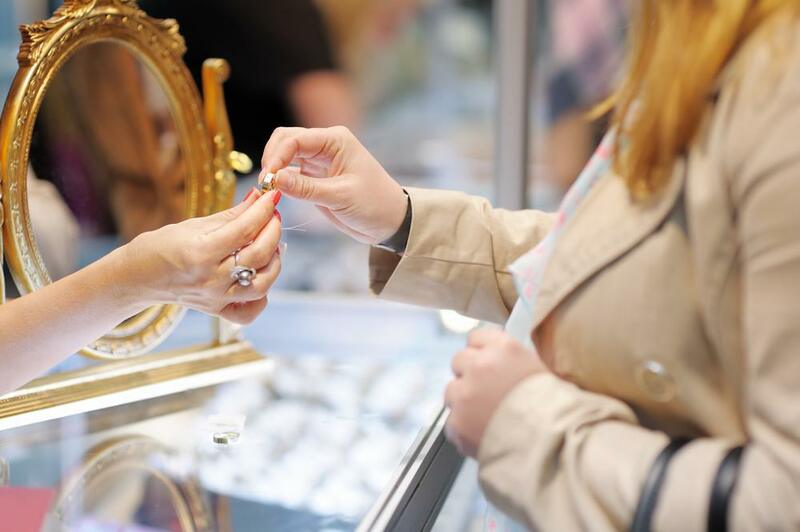 Engagement rings should not leave you scrambling financially! 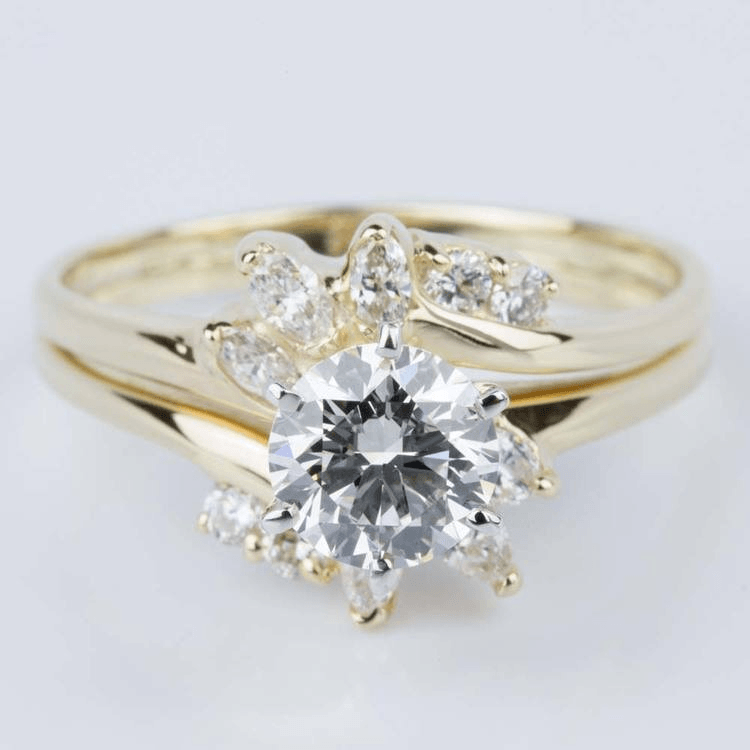 Designer engagement rings are often associated with luxury brands and high-end jewelry boutiques, but designer details can be found online… at Brilliance. Parade Design’s intricate details signify the commitment to quality and perfection that Parade expects from the rings bearing the designer name. Of course, you don’t have to choose a ring from a collection. We encourage you to customize your own ring—especially if you are looking for a truly unique design and style. No matter what ring you choose—designer, custom-made, or a style you discovered in another collection—the love and sentiment of the ring exudes the deepest and most amazing Brilliance.